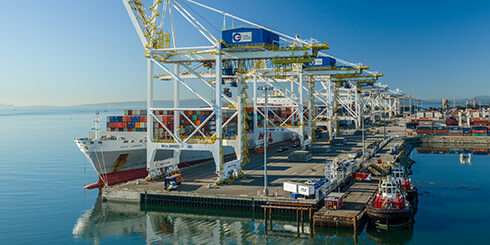 GCT Global Container Terminals Inc. provides efficient and competitive services to our customers on the Canadian West Coast and the US East Coast. 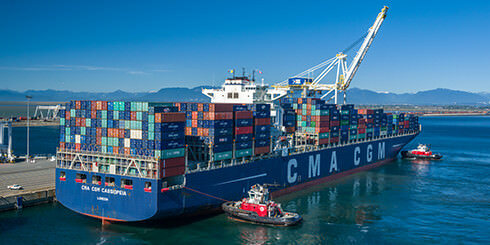 We are among the top terminal operators in North America, with established facilities in the ports of Vancouver and New York/New Jersey. Four strategically located terminals in two countries. 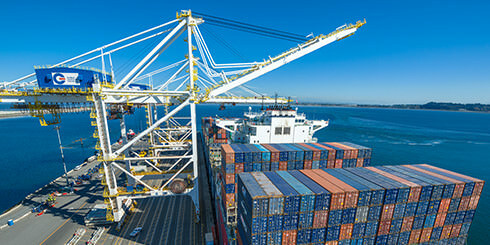 Our four state-of-the-art terminals are positioned on the East and West Coasts in order to provide our carrier customers with easy access to the major international trade routes. All four have direct access to major freeways and national railways, so connections to-and-from the terminals are fast and reliable. 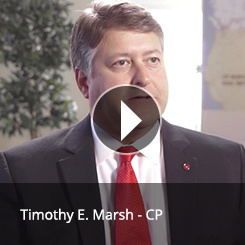 And, in keeping with our leadership position, we are constantly upgrading and improving our technology, equipment, and processes so that we can continue delivering on time, every time. 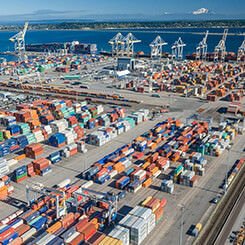 GCT Deltaport is Canada’s flagship container terminal. 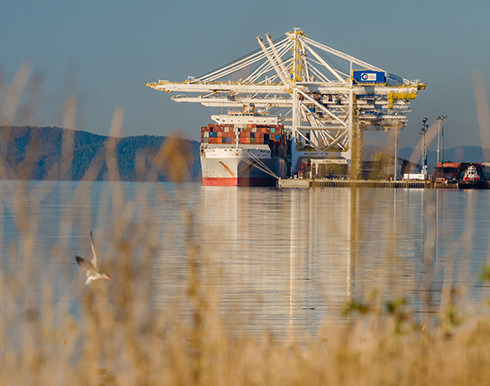 Located at Roberts Bank, the highly advanced 85-hectare (210-acre) facility boasts an 1,100-metre (3,609-foot) contiguous berth. 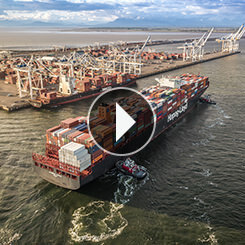 The terminal handles the largest transpacific container vessels in service and features a fleet of high-speed, super post-Panamax cranes. 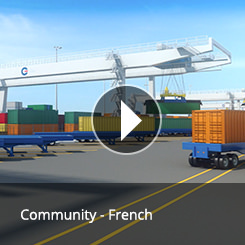 The facility employs state-of-the-art systems and following completion of the GCT Deltaport Intermodal Yard Reconfiguration Project, will boast the largest on-dock intermodal rail yard with a trackage of 8,334 metres (27,350 feet) of track. Learn more about GCT Deltaport. 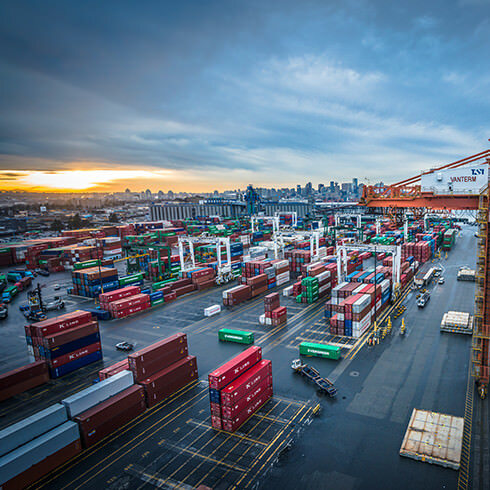 Strategically located in the inner harbour, GCT Vanterm operates in naturally occurring deep water and is among the most productive terminals in North America. 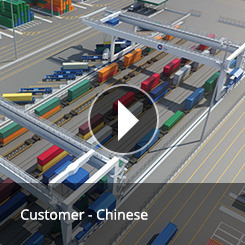 It is a 31-hectare (76-acre) container terminal with 619 metres (2,030 feet) of berth, offering six high-speed, super post-Panamax dock gantries, a modern fleet of container handling equipment, and an on-dock intermodal rail yard with nine tracks totaling 2,962 metres (9,600 feet). 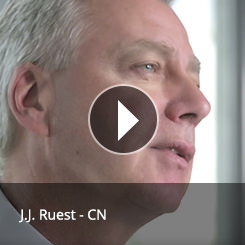 Learn more about GCT Vanterm. 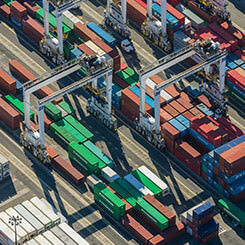 The award-winning, semi-automated GCT Bayonne is situated in the Upper New York Bay in Jersey City, New Jersey. 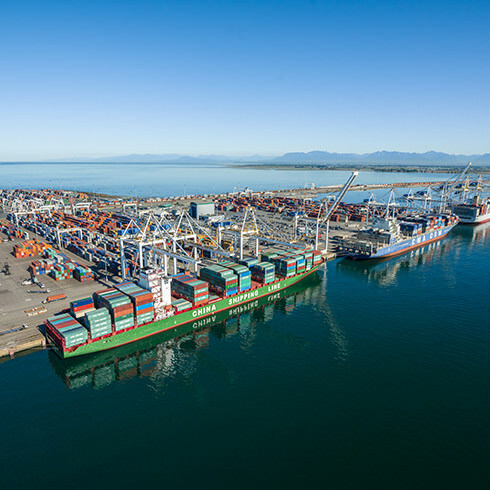 Handling the largest vessels operating in its tradelane, it is the closest container terminal to the harbour entrance and is the only terminal in the harbour with no air draft restrictions. 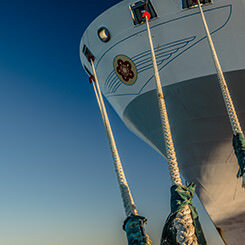 Its convenient location also reduces vessel transit time by up to two hours each way. 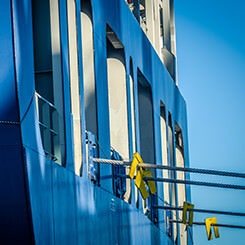 The recently expanded facility now spans over 68 hectares (167 acres) and features a 823-metre (2,700-foot) berth, allowing vessels to approach unencumbered. 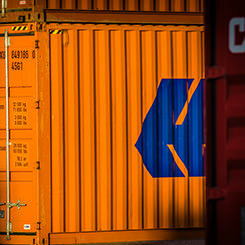 GCT New York is a full-service container and general cargo facility in the New York harbour. Strategically located on Staten Island near the Goethals Bridge, the terminal occupies 187 acres (58 hectares) of upland area. Boasting the fastest turn times in the harbour, GCT New York is now Big Ship Ready with the completion of the 50 foot (15.2 metre) deepening project. 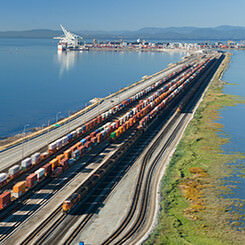 It is readily accessible to major truck routes, and features expanded on-dock rail service, connecting to the North American transcontinental rail network. GCT New York has been honoured with the Association of Bi-State Motor Carriers Award for “Best Terminal” seven out of the last nine years. 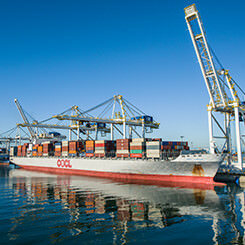 GCT New York has the only on-dock Customs Examination Station (CES) in the port. 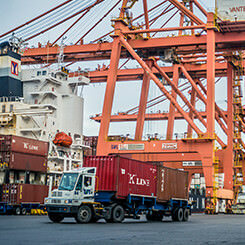 If you would like to use any of these photos for publication, please contact our Corporate Communications department at media@globalterminals.com. Additional photos are available upon request.